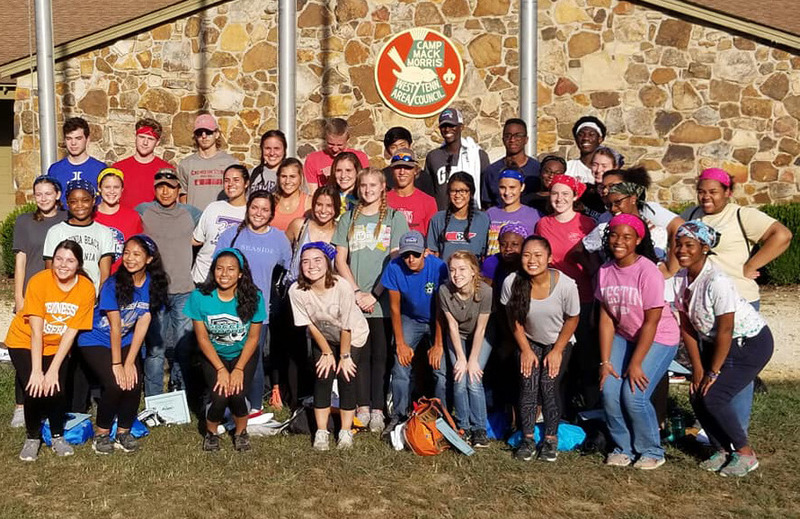 Leadership University Class attends Camp Mack Morris for opening retreat. Leadership University, a youth leadership development program for high school juniors from Jackson-Madison County, is accepting applications for its 2019-2020 program now through Monday, April 1. Leadership University is made up of a diverse group of high school juniors from Jackson-Madison County that demonstrates leadership potential. Leadership University prepares participants to become responsible, ethical leaders that make a positive difference in others, as well as their community by creates awareness in all aspects of the community. Lane College, Union University, Jackson State Community College and the University of Memphis – Lambuth Campus are sponsors for Leadership University. These sponsorships make it possible for the program to be offered to participants at no cost, but to pay it forward to the community. Students participate in community service monthly during the program with local social service agencies. For more information about Leadership University please contact Brandy Stutsman at 731-423-2200 or by email at bstutsman@jacksontn.com. To learn more about Leadership University, visit its Facebook page or see the latest video on the Jackson Chamber’s website under Leadership University or on the Jackson Chamber’s YouTube page.